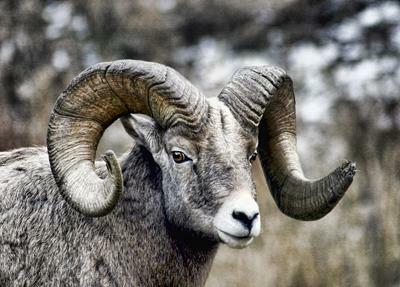 In Darby, Montana these Big Horn Sheep roam on the road all the time. This one wouldn't move so I took out my Canon Digital Rebel with my 70-200mm lens and he was more than happy to stand there and get his photo taken. What a ham!